Our service is a patient and family centred approach to Type 1 Diabetes Mellitus. On-site services are provided in Geelong, Melbourne, Sale, Bairnsdale and Lakes Entrance. Our core team comprises consultant general paediatrician Dr Peter Goss and Credentialed Diabetes Educator Jenny Goss. We utilise the multidisciplinary skills and experience of other experts in the field, including dieticians and psychologists in various parts of Victoria and respected Australian and international diabetes consultants. Because Type 1 diabetes is a family disease, we view ourselves as privileged co-workers in the family diabetes team. We provide comprehensive care and abide by the highest standards of world diabetes. 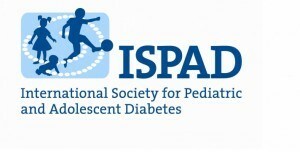 We practice according to the guidelines of the International Society of Paediatric and Adolescent Diabetes and AMA code of ethics.